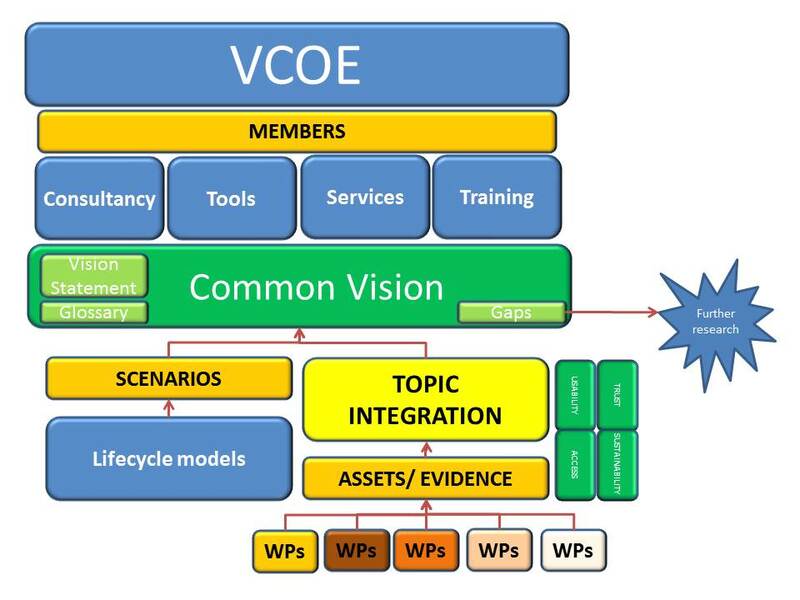 The Common Vision ([download id=”169″ format=”8″]) which we are developing in APARSEN has a very specific purpose, namely to bring coherence to the offerings of the Virtual Centre of Excellence (VCoE), helping to reduce or eliminate fragmentation in digital preservation. This coherence is expected to be a unique feature of the VCoE, and so it is important that it should be well founded on the range of work done within the APARSEN project. In the context of APARSEN, the Common Vision will provide a unifying base shaping the activities of the Virtual Centre of Excellence, allowing its members to share a view of the challenges of digital preservation, as well as underpinning the offerings of the VCoE. However it is hoped that the Common Vision will enjoy wider influence and acceptance in the digital preservation and data holding communities. The offerings of the VCoE have been grouped into four headings: Consultancy, Tools, Services and Training. The Common Vision provides the basis of consistent and coherent advice and information about digital preservation. It is underpinned by the Asset base which has been collected across Aparsen works. Even the information about gaps provides us with a view of the “known unknowns” in digital preservation. 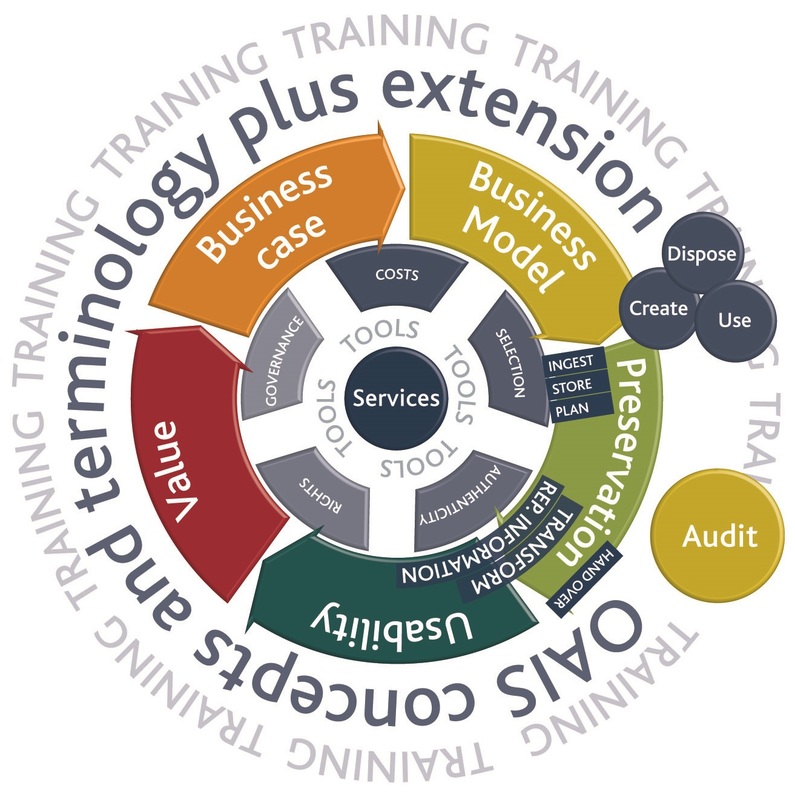 Tools provide fundamental capabilities such as creation of Representation Information, evidence about Authenticity, building business cases, estimating costs and planning preservation strategies. Services are widely applicable ways of sharing information and capabilities, and are used by many tools. They provide a way of sharing information and capabilities. APARSEN D21.1 reports on information collected on a variety of services, mapped to a landscape based on ISO 16363. Some services can be developed as part of an international effort with other projects and stakeholders (i.e. InterPARES Trust and conflicting rights, International Council on Archives). APARSEN D43.1 contains a list of training topics. These are essentially consistent with the Common Vision presented in this document. However here we can present the training material within a coherent, comprehensive and consistent framework. Register of Digital Preservation curricula and courses in academia/Higher Education (HE) and Continuing Professional Education (CPE). Repository of training material in Digital Preservation. Online learning with courses in Digital Preservation. The establishment of a community spanning database can only be performed if all aspects of preservation are concentrated in one single place. Most of the standard related information was established in various research projects. The VCoE combines all the standard related knowledge, the applicable validation and certification procedures, under a common mind. Additionally this VCoE will be open to associations and standardisation bodies that are not yet part of the APARSEN network of excellence but are able and willing to contribute. to measure the user satisfaction about some services across different PI domains and get refinement. Collaboration between rights holders and archives. Sustainability of funding for DP and access should be assessed. When defining or implementing a DP policy, it should be considered as a core business activity. Cooperation should be stated within a policy on DP and access, describing the level of cooperation and possible agreements. Benchmarking is recommended. A policy should be made available on the web and be easily retrieved. A policy should include the reason for the policy and the target group. A policy should encourage open access to data and, if needed, solutions for handling privacy concerns. The mechanisms for updating the policies should be explicit. Incentives to participate should be provided. A policy should include risk assessment with contingency planning and an exit strategy. A policy should include the type of data addressed, elements dedicated to DP (file formats, metadata requirements, etc. ), retention rules, reference to international standards and national legislation and guidance on how long data needs to be preserved. A policy should include specification of standards and interoperability. A policy should specify who to contact to preserve and share data, and who takes care that the policy is implemented. The license systems should be standardized and simplified.